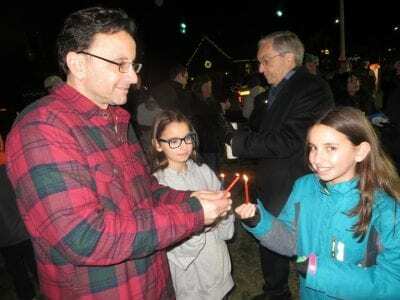 With Judge John Sweeny in the background, Justine and Joelle Wald light their Chanukah candles with their dad, Joseph. The family resides in Brewster. Hanukkah or the Festival of Lights is being celebrated countywide this week. 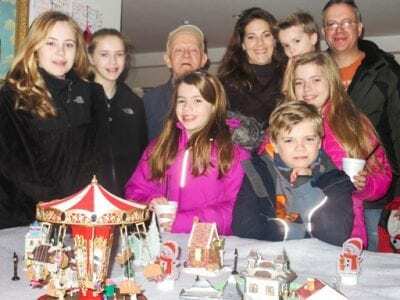 Menorah lightings were… Please login below or purchase a subscription to the Putnam County Courier to access this content. 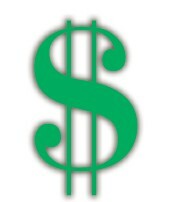 Buying goods in Putnam is unlikely to become any cheaper from the vantage point of sales taxes. Putnam lawmakers have requested that their counterparts in the NYS Legislature authorize the renewal of the county’s expiring 1 percent count… Please login below or purchase a subscription to the Putnam County Courier to access this content. 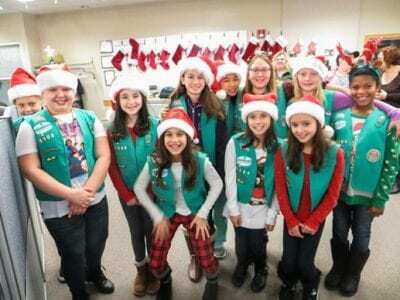 Carmel Girl Scout Troop 1100 acted as Santa’s elves on Christmas-eve. Santa’s elves were up early on Christmas-eve and despite a chilly rain delivered dozens of cookies to emergency services providers throughout the county. The project kn… Please login below or purchase a subscription to the Putnam County Courier to access this content. Sheriff Don Smith makes the rounds on Christmas day wishing inmates a happy holiday. 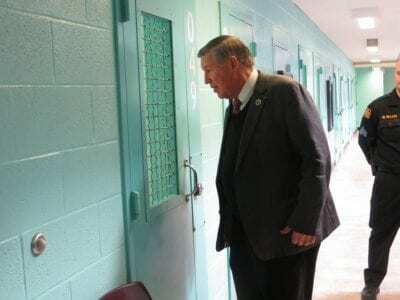 Sheriff Donald Smith spent a portion of his Christmas behind bars at the Putnam Correctional Facility greeting inmates and wishing staff a happy holiday. The annual … Please login below or purchase a subscription to the Putnam County Courier to access this content. 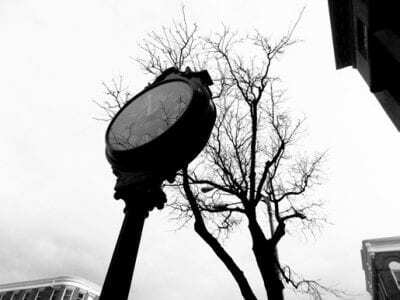 Francisco Colon – “Timeless” Newburgh High School. Gallery 66 is ushering in the New Year by celebrating our youth and their hopes, talents and promise with an exhibit of their best artworks. The Gallery recently sent out an open call to all the high… Please login below or purchase a subscription to the Putnam County Courier to access this content. The NYS Department of Labor reported last week that for the month of November, Putnam’s rate of unemployment was the lowest in the Hudson Valley and fourth lowest in all of New York State only behind Columbia, Tompkins and Saratoga counties. In 1998… Please login below or purchase a subscription to the Putnam County Courier to access this content. 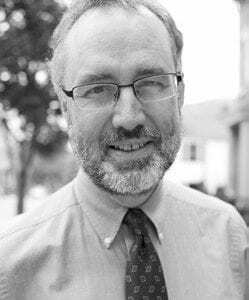 Eighteen individuals have been appointed to boards and agencies by members of the Putnam Legislature. The action came at last week’s Year End meeting when by unanimous votes of the legislators present appointments were made to the Putnam Indu… Please login below or purchase a subscription to the Putnam County Courier to access this content.